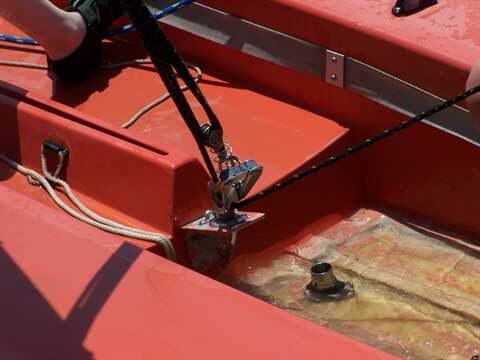 Boat is in fair to good condition. 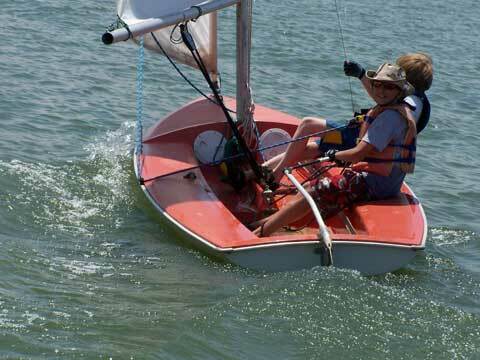 Can sail as-is. 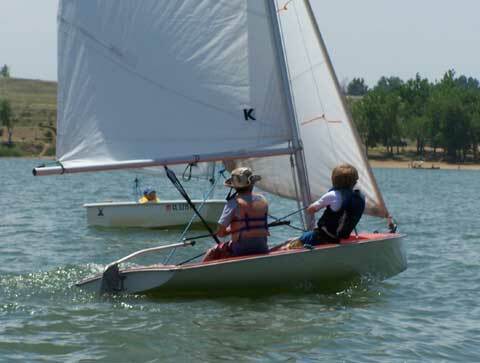 Last sailed on June 20, 2008 in our children's sailing program at Cherry Creek State Park, Greenwood Village, CO.
1 main sail and 2 jibs. 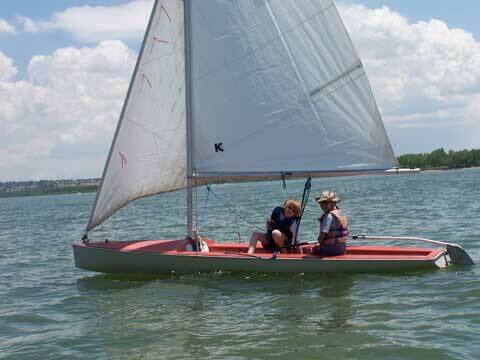 Older jib is fitted to roller furler. 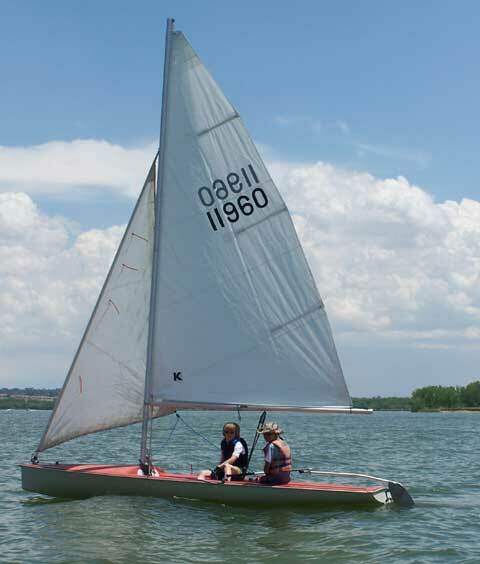 Newer jib is not fitted to roller furling system. Needs Vang and Cunningham, appropriate rudder pins, and some other hardware.